FREE Coffee! FREE Panda Express Egg Rolls, Chinese New Year Lion Dancing, LoveSac and Tina and Courtney become Furniture Makers? 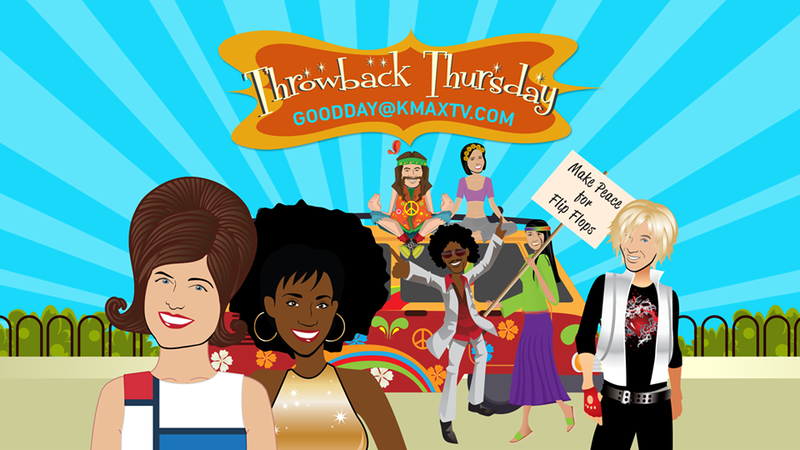 Wait what is this a Throwback Thursday on Good Day? Yes, Dutch Bros Elk Grove has opened learn how you can get FREE Coffee today, Chinese New Year is upon so why not learn how to Lion Dance plus Panda Express is giving Egg Rolls. Melissa shows you the Lovesac (Is that legal) It is when you see what it is. Plus Tina and Courtney become Furniture Makers all that and more in.. Hangin at the Hot Tub With Mark… Today in the News…. It’s real furniture for real life! Love Sac in Roseville has washable convertible furniture perfect for kids and today on Good Day Melissa was testing out this furniture to see if it is really kid proof this morning. Courtney & Tina have learned how to become massage therapists and beer makers. Now today on Good Day they learned how to become furniture makers at Masterpiece School of Furniture in Marysville! With the release of Hot Tub Time Machine 2 to theaters tomorrow Mark was all about hanging out at the Hot Tub today and 1 viewer and Camera Guy Terry had Mark over so that he could check out the Hot Tubs as well as talk about the movie. For a complete recap of the movie check out Mark at the Movies this weekend on #CW31 and Reelzchannel. 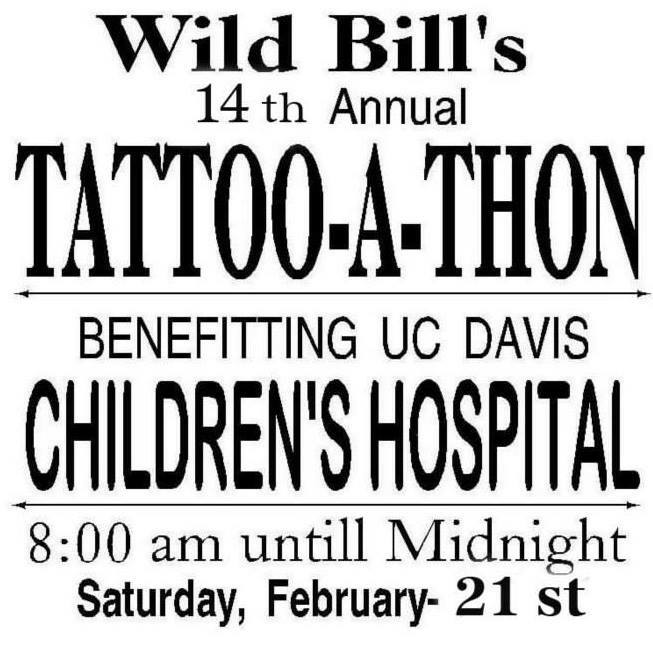 The Wild Bill 14th Annual Tattoo A Thon to benefit UC Davis Children’s Hospital is Saturday Feb 21 8am-Midnight at 115 Lincoln Street Roseville, CA 9167839090 to make an appointment. Please bring your artwork with you. Show & Tell: Courtney: Dance company out of Suisun just returned from a competition. Courtney showed their opening dance number. Mark’s News of the Weird: Antelope on the loose in Texas. Kim Jong has a new hairstyle. Brandon Scott Wolf started his own online dating site for himself. #QuestionOfTheDay: Where do you like to go for lunch out of town. Oh, your dog looks so cute – giving you those cute dog eyes, wanting just a taste of whatever it is you’re eating, which must be delicious, because you’re eating it! But besides the obvious no-no’s that we’ve heard about, like chocolate, which can be deadly, on the daily list this morning, three things never to feed your dog – even just a taste. Grapes. Onions and Garlic. Alcohol. 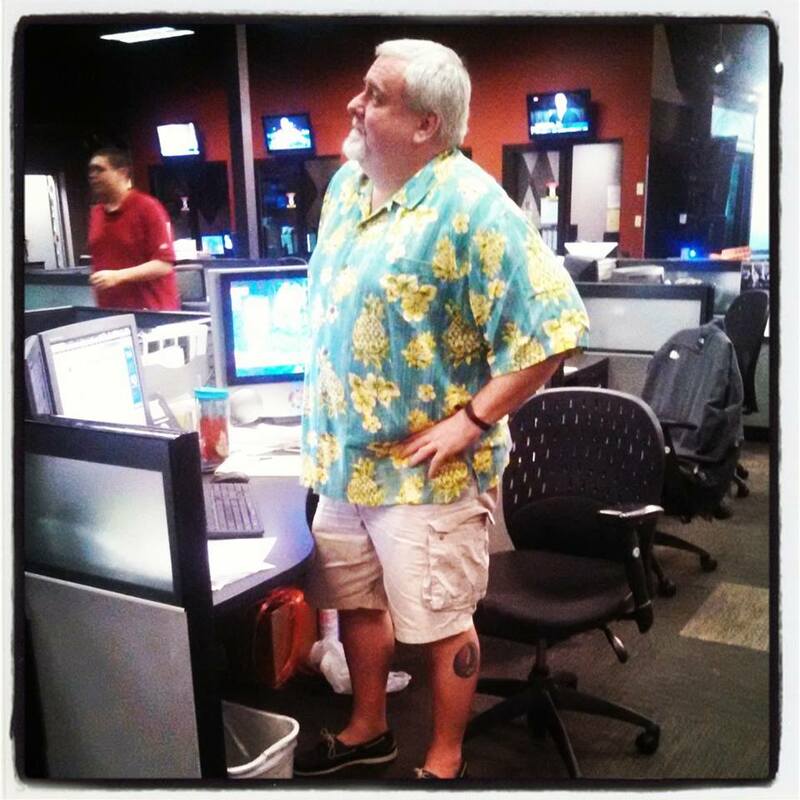 Truck Tracker Update: Jason is wearing a Hawaiian Shirt today that hasn’t fit him in years. It’s a Big Day in his Lifestyle change. Courtney showed a local dance group. Jason fitting into a shirt he hasn’t in awhile. Marianne had the Daily List. Mark had News of the Weird. 5am Club Member was introduced. Today’s Show us yours was a 2 for 1. Throwback Thursday and Hot Tub. Question of the Day was Where do you like to go have lunch out of town. Hot Tub Time Machine 2 opens in theaters Friday. Today on Good Day Mark wanted to check out yours and started out at Camera Guy Terry’s with his dog Bailey. 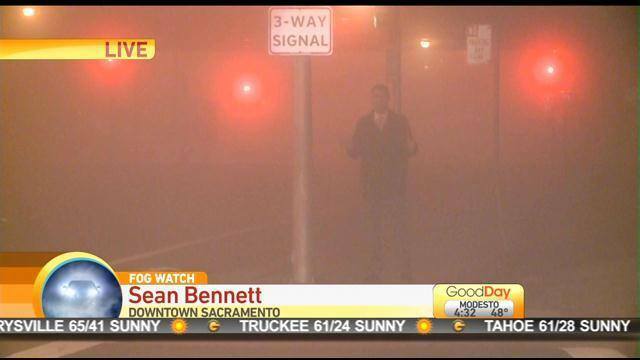 Marianne’s Daily Joe: Lady walked into Fifty Shades of Grey walks out when Camera Crew spotted her. Little Caesars has a 3.5 lbs of Bacon Pizza. I’ll call the Ambulance. Cookie Monster tours Art Gallery. Mark hung out with Terry’s Dog Bailey in the Hot Tub. Marianne had her Daily Joe. Jason was checking out Free Coffee at Dutch Bros. Melissa was putting the Love Sac kid test to the test. Jason continued from Dutch Bros in Elk Grove with the long lines for FREE Coffee. A record number of baby California sea lions are beaching along the state’s shoreline. Today on Good Day Ken/Marianne got a peek inside the critical care unit at SeaWorld San Diego’s Animal Rescue Center to showcase their animal rescue, care and rehabilitative efforts. We’ll get to see how SeaWorld cares for and nurses rescued marine mammals to health before they are successfully returned to the ocean – given a second chance at life. Jason continued the party at Elk Grove Dutch Bros Grand Opening. 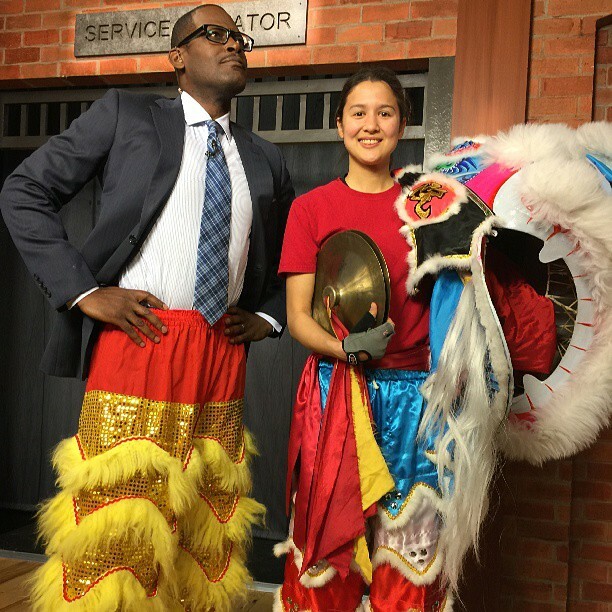 Marianne talked with Panda Express while Ken danced the Lion Dance to kick off Chinese New Year. Mark continued his Hot Tub Time Machine. Jason kept the party going at Dutch Bros. Tina wants to talk with Garth Brooks. Help ask him. Marianne and Ken talked with Sea World about Sea Lions being nursed back to health. Courtney & Tina have learned how to become massage therapists and beer makers. 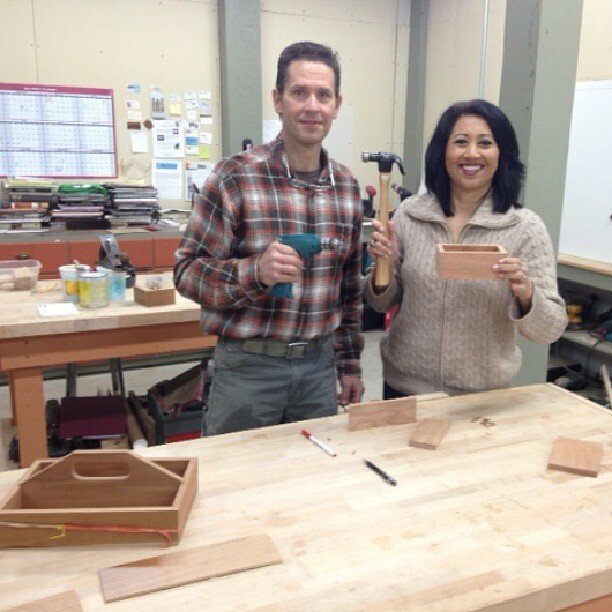 Now today on Good Day they learned how to become furniture makers at Masterpiece School of Furniture in Marysville! Tina first learned to make a box. Former MLB Manager and Sacramento legend Jerry Manuel joined Ken in studio today on Good Day Jerry will be honoring local baseball greats Derrek Lee and Greg Vaughn at a special fundraising gala next week! The event raises money for two great causes: The Jerry Manuel Foundation and the William Jessup University baseball program! #9amtopic: Are you ready for drones to be a part of life. 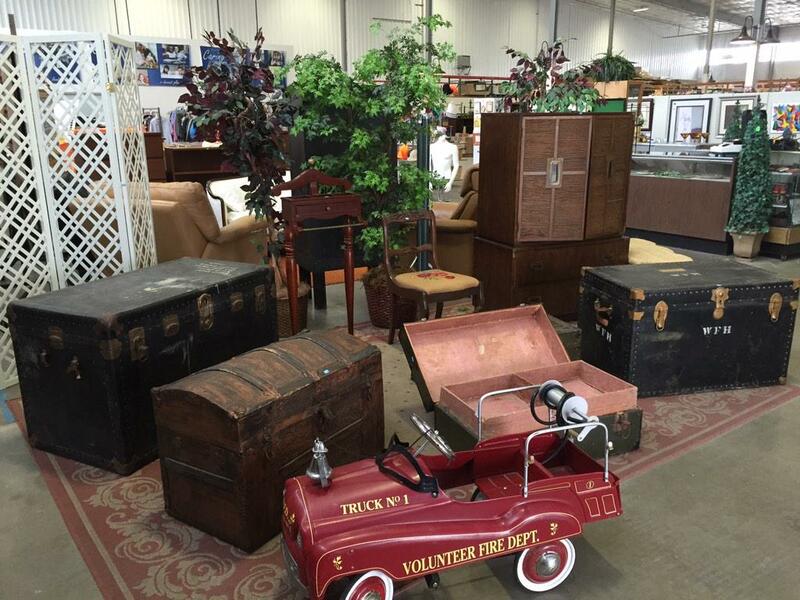 Today on Good Day Kristin was at the Habitat for Humanity ReStore, a donation center and resale center – accepting and selling all kinds of items from housewares, to clothes, to tools and thousands of other items. Kristin took a tour of the massive warehouse and will find out what they need and how this center allows them to help the community. Looking for Lunch ideas? Today on Good Day Melissa was with My Frugal Adventure… 21 homemade creative lunch ideas for the kiddos! How about spreading a little love with homemade almond butter sandwiches or send along a sweet note to put a smile on your kid’s face. My Frugal Adventures shared great ideas that won’t break the bank and the kids won’t trade out! Mark headed to a viewers Hot Tub to check out. Sometimes it comes from excess air trapped in your digestive tract. Other times it feels like a basketball is stuck in your abdomen, or your entire midsection has been flooded with water. Whatever bloating feels like to you, one thing’s for sure: it’s uncomfortable. And though bloat rarely signals something serious and typically goes away after several hours (eased up by moving around, drinking water, and just waiting it out), a distended middle can make you feel lethargic, clumsy, and suspecting you’ll never be able to button your jeans again. Welcome back your flatter belly by saying goodbye the habits that are prone to puff you up. Eating too fast. Sandwich for lunch. Raw Kale. Packaged food. Late Dinner. We’ve all heard what not to feed our dogs, today on the Daily List Marianne gave you 3 of them… Grapes. Onions and Garlic. Alcohol. If it’s hear it must be weird and Mark has it all… Antelope on the loose in Texas. Kim Jong has a new hairstyle. Brandon Scott Wolf started his own online dating site for himself. What’s In Marianne’s Daily Joe today? Lady walked into Fifty Shades of Grey walks out when Camera Crew spotted her. Little Caesars has a 3.5 lbs of Bacon Pizza. I’ll call the Ambulance. Cookie Monster tours Art Gallery. Are you feeling a bit overweight maybe bloated? In today’s #ManlyMinute on Good Day Ken tells you 5 things that might be bloating you… Eating too fast. Sandwich for lunch. Raw Kale. Packaged food. Late Dinner. Tune into Good Day tomorrow for another edition of Mel Vs. Maloney from Surf Xtreme in Elk Grove, Yes Indoor Surfing. Plus Rover Karaoke Mark locks in his Oscar Picks and we dance into the weekend to get ready for Cody Melissa and the weekend crew. 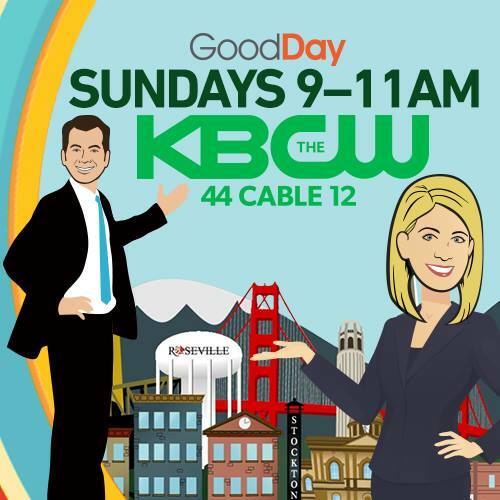 So tune in starting at 430am and get your weekend started early with Good Day. Christian Brothers High School is hosting a “Bowl-a-thon” to support the River City Food Bank’s, “Empty Bowls” fundraising event, and bring attention to the many among us who suffer food insecurity.